When it comes to Fire Extinguisher Servicing Haywards Heath customers can depend on ETC Fire. If you are concerned that your fire extinguishers are not up to date, don't hesitate. A fire in your building or an insurance claim will cost a lot more than the price of an inspection. Our expert team operate in the Haywards Heath area servicing all kinds of fire extinguishers for all situations. We inspect and provide a maintenance service or one off visits, to suit you. 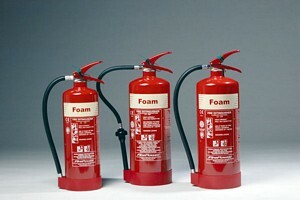 We also service and commission fire extinguishers even if you have bought them from another source such as the Internet. Our expert team can visit and service your equipment, or if you require new fire fighting equipment or a survey for safety purposes, please contact us for help and advice. All parts used and servicing conforms to the Manufacturers' instructions. Book us for a service visit and have peace of mind that your fire extinguishers are performing correctly. We help you win the fight for fire safety.